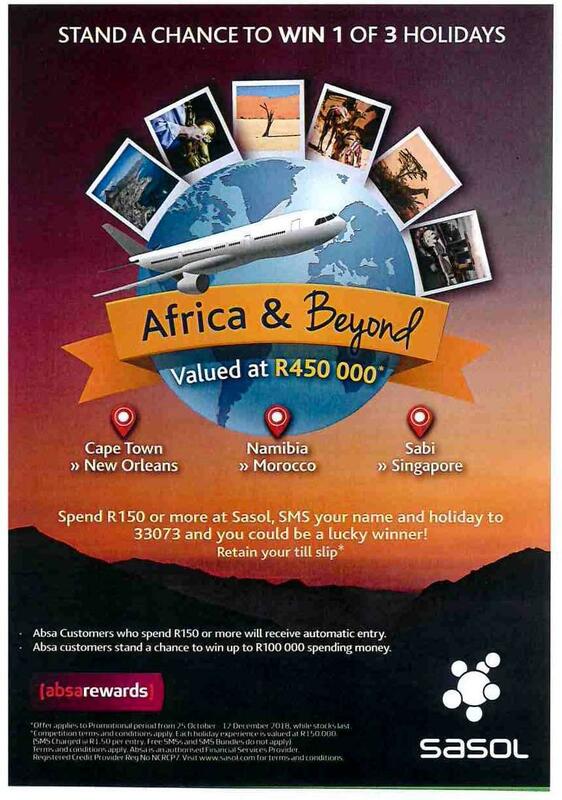 Sasol is giving away three Africa and Beyond Holidays worth R450, 000 (R150, 000 each). 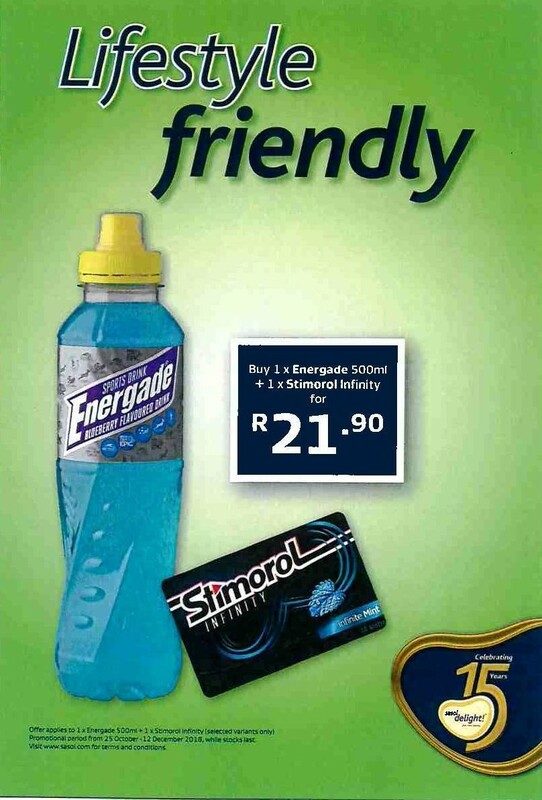 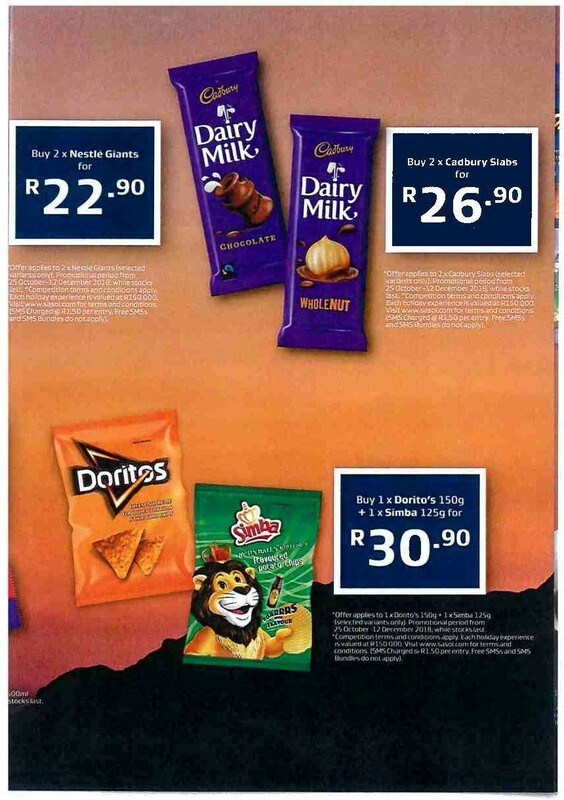 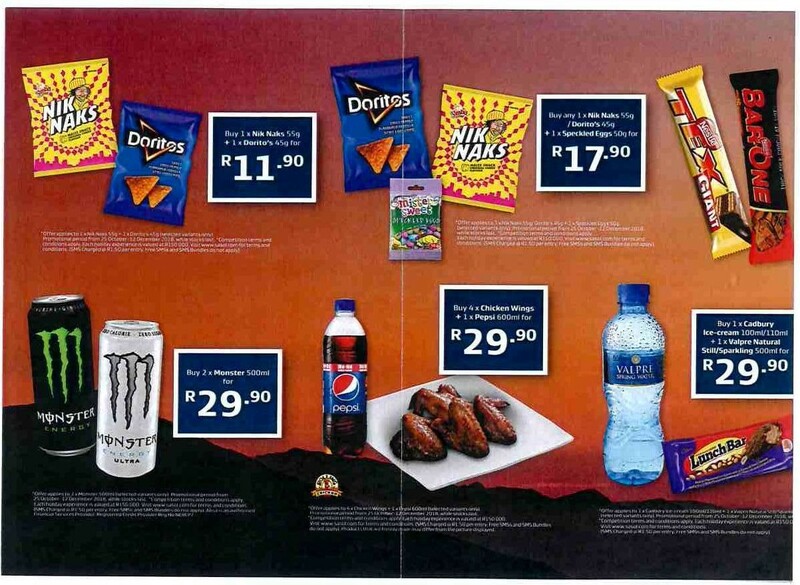 Spend R150 or more at Mascor Sasol Salt Rock and stand a chance to win one of these awesome holidays. 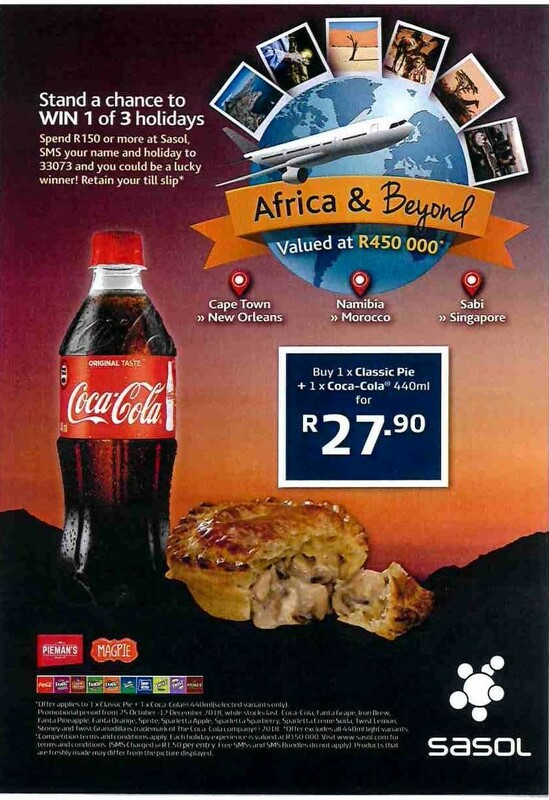 To enter, SMS your name and the word “Holiday” to 33073 – retain your till slip as this will be required to claim any prize.